The U.S. Senate had a chance to turn this country around & pass gun control measures. Unfortunately but predictably they failed on not one but four attempts to finally make America a civilized country. 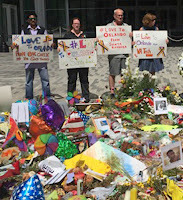 Rick Zbur Equality California Executive Director stated, “Slightly more than a week has elapsed since the worst mass shooting in history, in a country where the regularity of mass shootings horrifies the world. The U.S. Senate has followed the now-predictable pattern of proclaiming that their “thoughts & prayers” are with the victims, while denying those same victims any meaningful action on their behalf. They did not act on behalf of the six year olds gunned downed in Newtown. They did not act on behalf of social workers gunned down in San Bernardino & once again, they have refused to act when 102 young, mostly Latino mostly LGBT people were gunned down in Orlando. 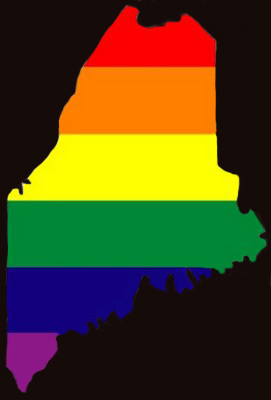 We had tangible hope that thoughts & prayers would this time result in real protections – for the LGBT community, which has suffered staggering rates of violence long before Orlando & for all Americans who want to be able to leave home to see a movie or send their child to school without fear that that kiss goodbye will be final. We are disappointed. Orlando is a call to action, for Equality California & for the LGBT community as a whole, to mobilize in support of meaningful gun safety reforms that will protect the LGBT community, our families & the broader communities we call home.” Equality Florida is collecting contributions via this GoFundMe page to support every single victim of the horrific shooting at Orlando's Pulse Nightclub. This includes victims’ families, survivors, and those in the club who may not have suffered physical injury but in need of support. They have a goal of 7 million dollars & are just under 5.7 million dollars.